At Beyond Storage, we recognize that not all homeowners are comfortable spending hundreds, if not thousands of dollars on a home remodeling project without being able to visualize the updates. That is why we at Beyond Storage offer a complimentary 3D rendering for your project before contracts are signed and work begins. While other companies in St. Louis require a down payment before providing a three dimensional drawing, Beyond Storage provides complimentary renderings to each potential client, with no strings attached. Why you ask? Because we have built our reputation on great customer service and competitive pricing. We are confident in our ability to work with you to find the perfect solution for your home. We will even provide you with the rendering to shop around with. If a competitor offers to do it for less than our quote, we will match the price. It's that simple! 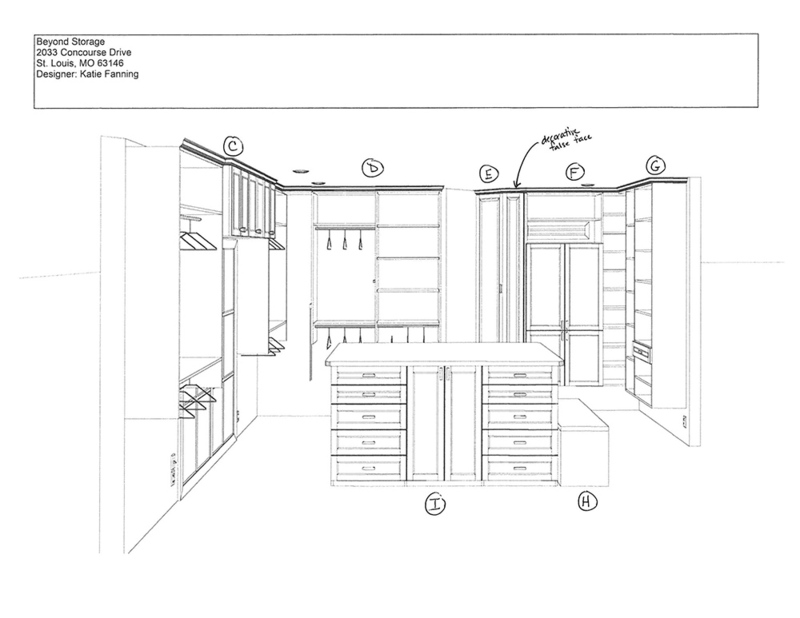 At Beyond Storage, all projects start with a complimentary design consultation. Sitting down to discuss your organization needs with our team, you will meet with a designer who will review your organization needs and generate the recommendations for . After the initial consultation, the designer will generate a 3D rendering of the proposed project and will present it to you for review. During this time, a discussion of materials will contribute to providing an accurate estimate for you project. Once the design is approved, our installation team will bring the design to life and provide professional grade install within your home.